The extreme cold snap affecting the North American midwest forced Ford to make some adjustments at a number of its plants this week. According to The Detroit News, Ford was forced to curtail heat-intensive metal working and stamping processes at its Sterling Axle Plant and Michigan Assembly Plant. The Michigan Assembly Plant builds the 2019 Ford Ranger pickup, while the Sterling Axle Plant supplies axles for a number of vehicles including the Ford F-Series and Ford Explorer/Lincoln Navigator. The Dearborn based automaker also had to turn down the temperature at its Livonia Transmission Plant and Van Dyke Transmission Plant to minimum levels, The Detroit News reports. Consumers Energy, a power supplier in Michigan, advised residents in parts of Michigan to turn down their thermostats Wednesday following an explosion at a gas compressor station in Macomb County, Michigan. “Consumers Energy greatly appreciates conservation efforts by all natural gas customers across Lower Michigan to assist with a supply issue on the company’s gas distribution network,” the company said in a statement. The natural gas shortage also forced General Motors to shut down 13 manufacturing facilities and five corporate facilities in Michigan. Employees were able to return to work Thursday, albeit in a limited capacity. Additionally, Fiat Chrysler cancelled the first and second shifts at its Warren Truck plant and Sterling Heights Assembly Plant Thursday due gas shortage and extreme cold. The extreme cold has affected Michigan and Southern Ontario, with the Ontario government issuing a weather warning and advising residents that a “prolonged period of very cold wind chills,” has settled it and will bring out wind chill values “between minus 35 and minus 30,” for a number of days. Weather forced the US Postal Service to halt delivery Wednesday and also closed a number of Michigan colleges. 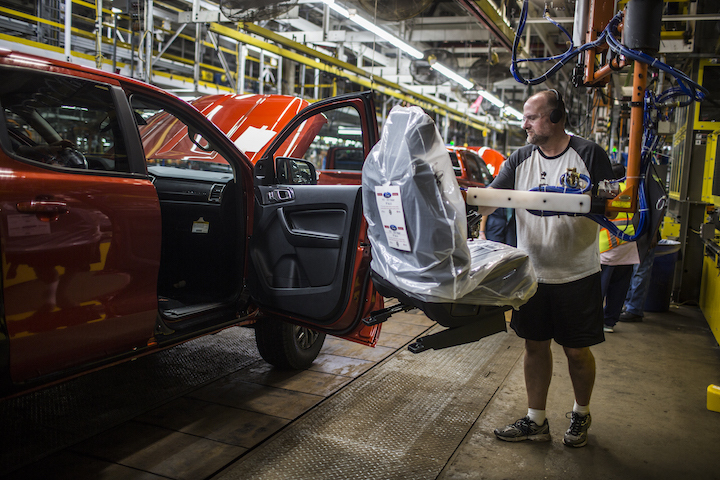 Ford workers at Michigan plants are expected to return to work in a regular capacity on Friday.